Team spirit is spreading at LinkedIn following the professional network’s debut of its Teammates feature, which enables members to ensure that they see updates from the people they work directly with. Teammates will begin rolling out on desktop and mobile in the U.S. in the coming months, with worldwide availability following shortly thereafter. Members with access to the feature will see an Add Teammates option in the left panel of the My Network menu, where they can add connections including managers, peers and direct reports. After doing so, activity from those people—posts, comments, likes, shares, work anniversaries—will be prioritized in feed. LinkedIn also added more artwork choices to the Kudos feature it introduced last June as a way for members to express gratitude to their coworkers and colleagues. 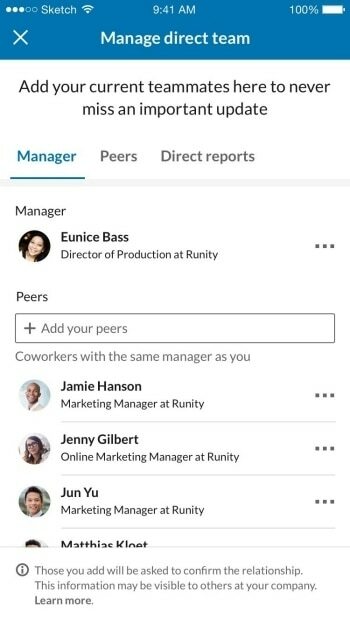 Li said 3 million Kudos were shared in the first few months that the feature was available, adding that LinkedIn members now have more ways to send personal Kudos within the professional network’s messaging feature.